This Clubs earlier involvement in overseas aid goes back to 1973/74 ,when we commenced to support young students in third world countries through World Vision and later Foster Parents Plan ( World Vision ). This program was designed to improve the well-being of people ( particularly children ) in third world countries throughout the Asian and SE Asian regions. We continued to support the program until 1993/94 when due communication difficulties we discontinued our involvement with World Vision. 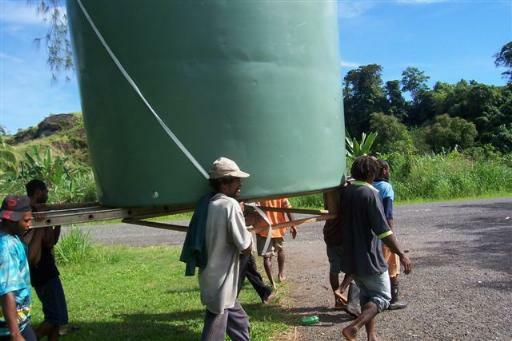 Our first RAWCS project involved the funding of water tanks for the Rotahomes project in Fiji. This was our first use of matching grants through the Rotary Foundation through which we were able to fund the supply of 11 waters, funds being provide by this club and our Rotary District and matched by a Matching Grant from the Rotary Foundation. Oro Province PNG , the Almost Forgotten Disaster. 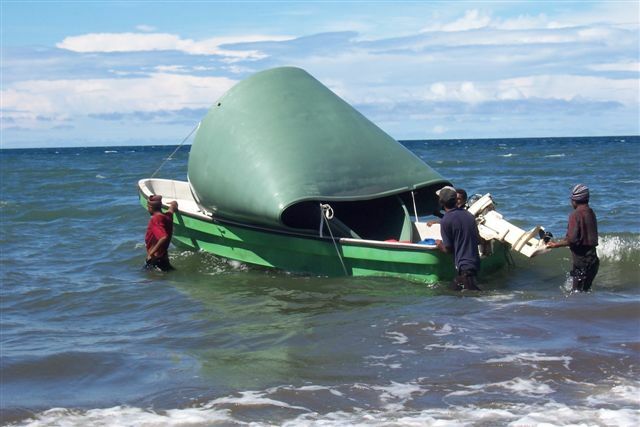 This disaster missed the headlines in November 2007 but Cyclone Guba didn’t miss the Oro Province in PNG —it wrecked considerable damage on the population, infrastructure, native gardens and water supplies. Some 200 people were lost in the flooding and tidal surges . Schools and community buildings have been destroyed ; as a consequence schooling has stopped in many areas. 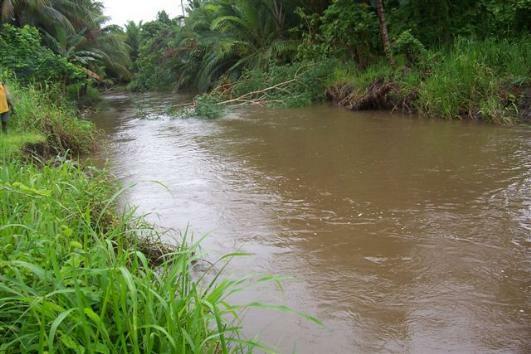 Supplies of clean water from flowing creeks have become polluted and ceased to exist — old water tanks were washed away or rendered useless, but worst still, old army dumps from WWII had been uncovered and are leaching toxic waste into the rivers and creeks Villagers are collecting rain water in pots or whatever is available. Acute diarrhea was prevalent, while cases of dysentery and cholera had been reported - Clean water for drinking and cooking water is urgently required. 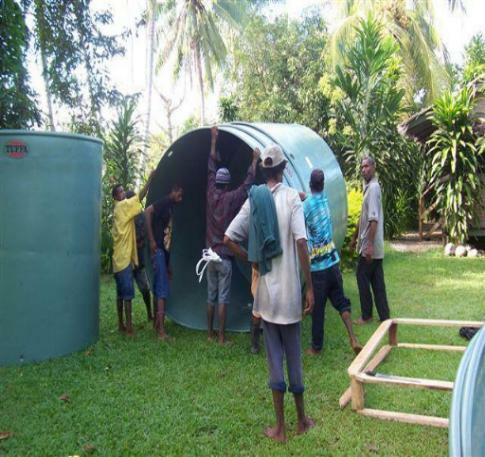 In 2008, the District 9750 RAWCS Committee set up a matching grant to commence the Oro Water Tanks project to provide some 60 water tanks over three phases . With donations from the Rotary Clubs of Camden , Corrimal, Engadine, Fairy Meadow , Kiama , Kings Cross, Minnamurra and Sutherland and DDF ( Share ) from the District Grants Committee, the RAWCS Oro Water Tanks Committee secured a matching grant from The Rotary Foundation ( MG69855 ).This gave the committee sufficient funds to provide 18 tanks to 14 villages. Being a matching grant project, we needed to secure a host club in the field - This was admirably filled by the Rotary Club of Goroka, with supervision of the project in the Oro province was undertaken by Surrogan Bishop Denys Ririka of the Anglican Church, (there being no Rotary Club in Oro province). 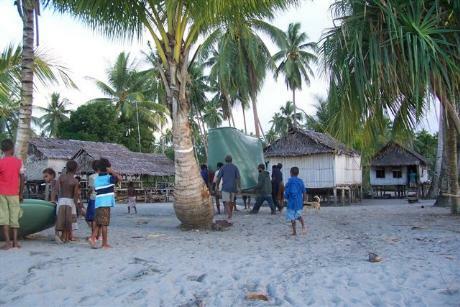 Bishop Ririka had initially surveyed the damage immediately after the Cyclone and provided extensive reports on what was required. 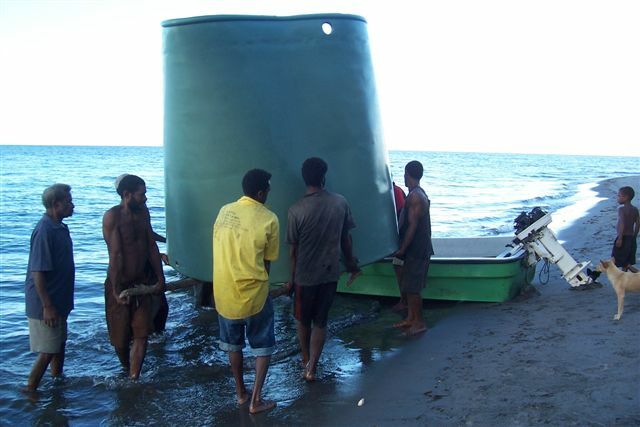 The tanks were purchased in Lae and then transported by coaster from Lae to Oro Bay where they were uncrated and distributed by a team of Village Volunteers. The villagers were required to set up the new bases and arrange guttering and downpipes. This imposed a level of responsibility and ownership on the Villagers. Below are some photos from the recently completed Phase I.